In 2006 Kristo Buase Monastery set up a Registered Company to handle its commercial operations. Every monastery needs to be financially self sufficient and our community has tried to build up a large commercial farm concentrating on tree crops. 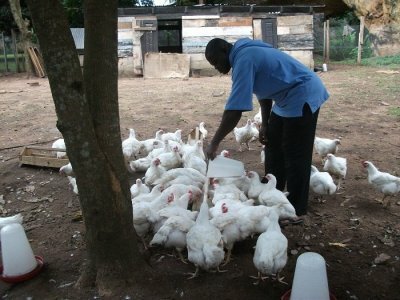 In Africa it is easy to produce, more difficult to establish a market. Monastery Forest Farm has been set up to finance the running of the monastic community and to offer employment to the local villagers. After several false starts we are now concentrating on three tree crops: cashew, cocoa and moringa, and a variety of fruit trees for processing into jams, wines and spirits. For further details of our products please see the 'Shop' page. Our largest source of income comes from the cashew nut crop. 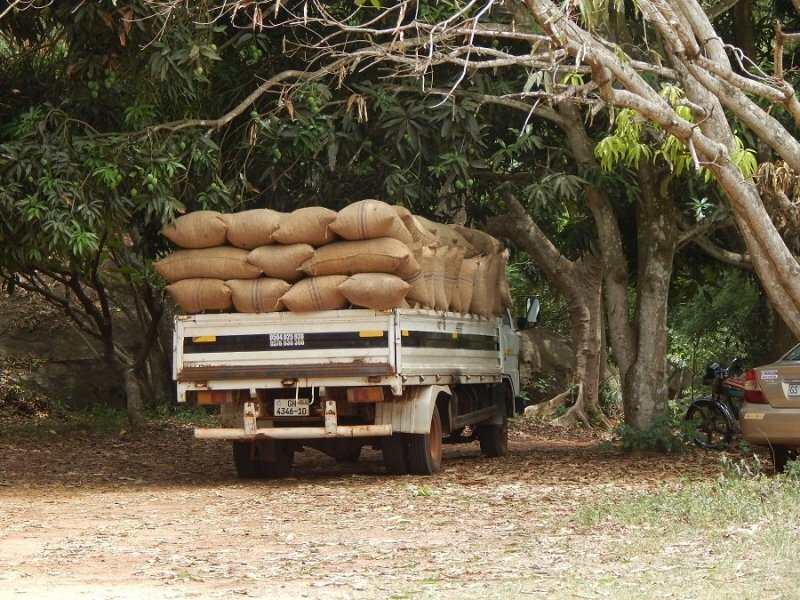 In the past we have been able to produce up to 54 tonnes of nuts, although the drought of 2015 - 2016 had a significant effect on our output, as with most other Cashew producers in the tropical zone. We are also distilling alcohol from the cashew apples as the base for our medicinal product, "Swedish Bitters". 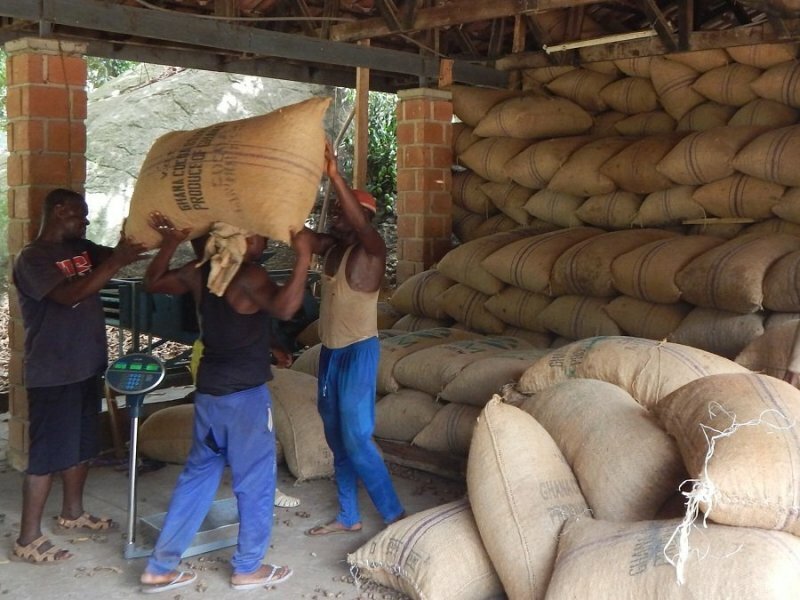 The production of cocoa in this area of Brong Ahafo was curtailled when the market price collapsed some years back. Now with the prospect of a world chocolate shortage due to the emerging Chinese market many local farmers are beginning to plant again. For the past two years we have been trying to establish a cocoa farm adjacent to the cashew orchard. To date we have planted about 2,000 cocoa seedlings but it will take 4-8 years before they become productive. In the early stages of the plant's development it needs shade and so cocoa is intercropped with plantain. This will give us another useful cash crop. 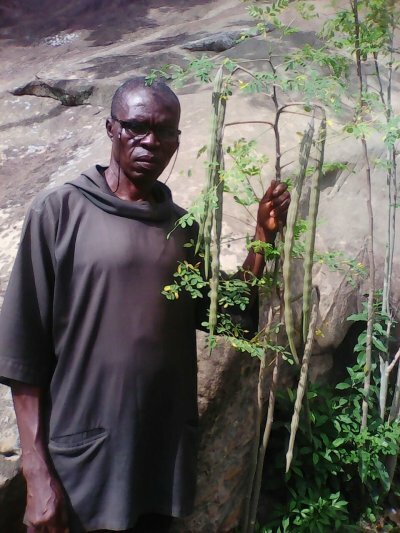 Our third major tree crop is moringa. 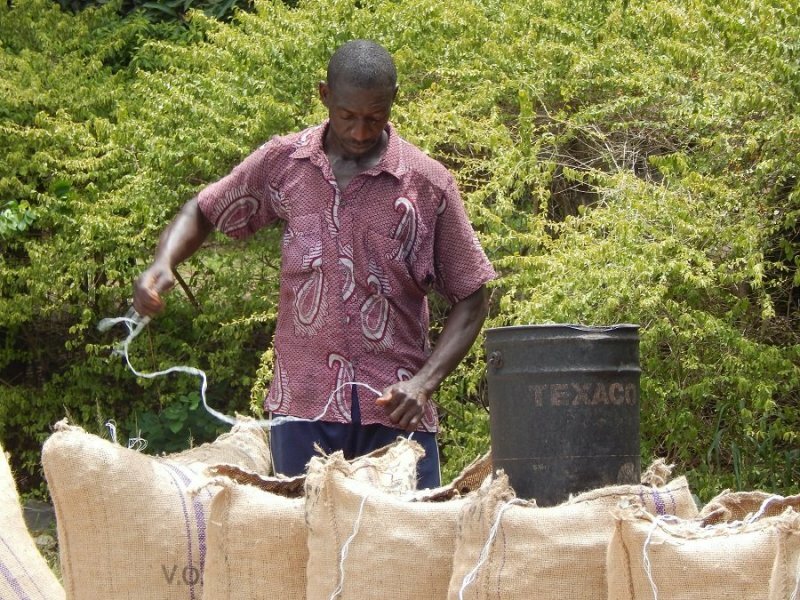 Initially we were growing this for the leaf powder (which has many health and medicinal values) but because of difficulties with marketing we are now concentrating on the extraction of oil from the moringa seeds. This is used by European cosmetic firms as a major component of anti-aging creams. Br Basilio is also producing a range of products from the fresh leaves and seed residue. These include Moringa Teabags, Moringa Soap and Moringa Pomade. We have found that there is a steady demand for these products in Nigeria. The cashew orchard is run as a commercial enterprise, but we still have an interest in sustainable agriculture and ecology. One of our long-term aims to produce as much as possible of the food we eat on our own farm. 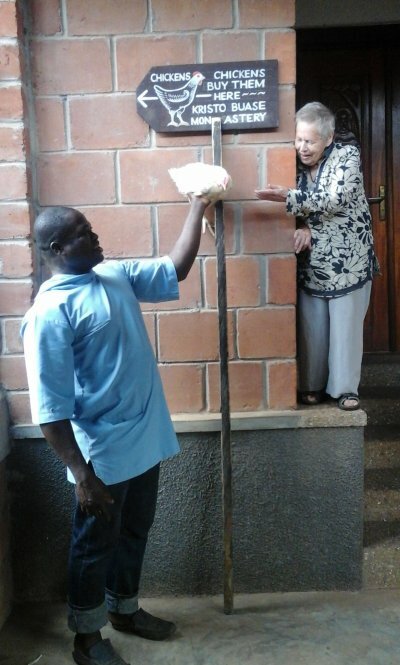 Besides maize, yam, cassava, oil-palm, avocado-pears, plantain and assorted fruits the novitiate also run a small vegetable garden and have recently revived the keeping of chickens. We also want to build up our apiary again after several disasterous bush fires. The bees help to pollenate the cashew. The honey from this area has a very distinctive dark colour and a taste quite different from what we are used to in Europe. It is excellent and the market for our honey is so strong we could sell ten times our current production. In keeping with our overall aim of a farm based on tree crops we are investigating expansion into other areas such as rubber production, spices (we are planting 40 cinnamon trees this year) and the extraction of essential oils. Our goal is to widen the cash crop base of the farm with year-round production of low-volume, high-value exports. As an aid to the future development of the farm we are sending one of our present farm staff, Mathias Yaganuma, to do a four year degree course in Sustainable Agriculture (B.Sc.) 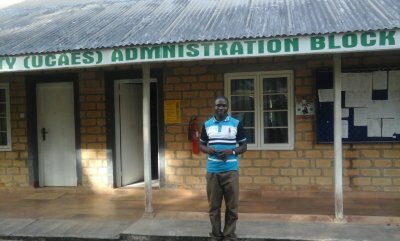 at the new University College of Agriculture & Environmental Studies at Bunso in Eastern Region. Much of our planting stock came from the Government Crop Research station at Bunso and UCAES is adjacent to both Cocoa College and Bunso Arboretum. 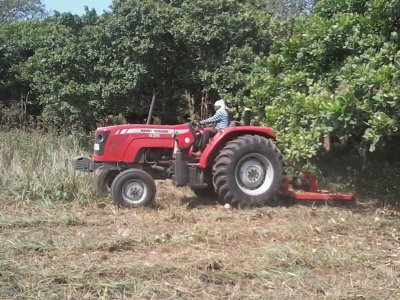 Monastery Forest Farm employs 15 full time staff and approximately 30 casuals during the cashew harvest. 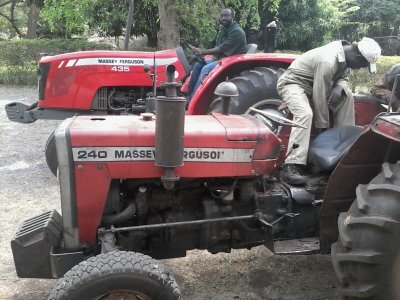 We have also used it to open up another four acres of land for the cultivation of maize. 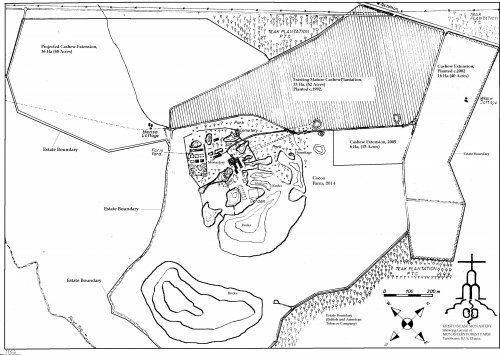 We still have more than one hundred acres of the farm to bring into use. 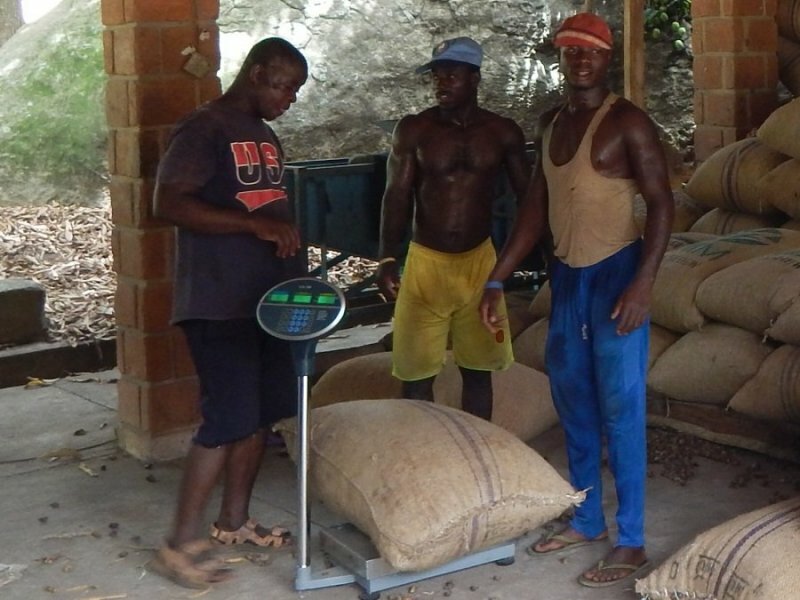 In December 2015 we won a Regional award at the National Farmers' Day celebrations in Brong Ahafo for "Best Agro-Processing". You will find our products listed on the "Shop" page. In addition to the certificate we were given a water-pump, sewing machine, wellington boots, cutlasses and a back-pack sprayer. We won a similar award at the District level (Techiman North) last year. 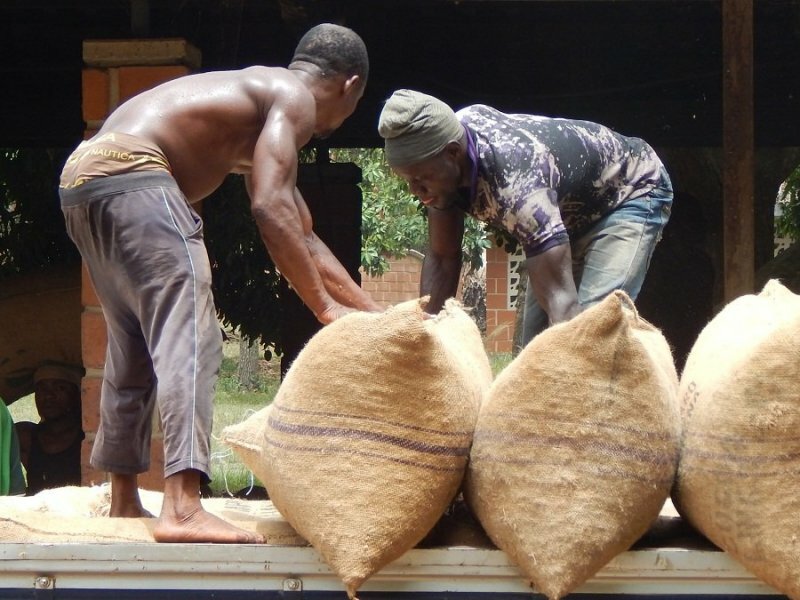 The Guardian, 25 Nov 2013, Ghana Cahew Nut Farmers.